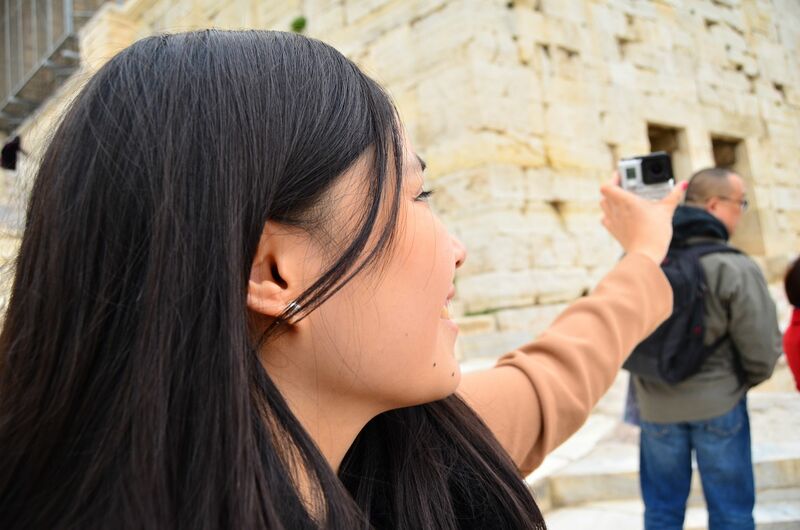 For far too long, I had dreamt of this moment – to finally step foot on the ancient land of Greece and experience its historical grandeur and how it transcended into becoming one of the most beautiful places to date. At the age of 22, I finally fulfilled my life-long dream and landed in the capital of the 30th country I had the chance of visiting. 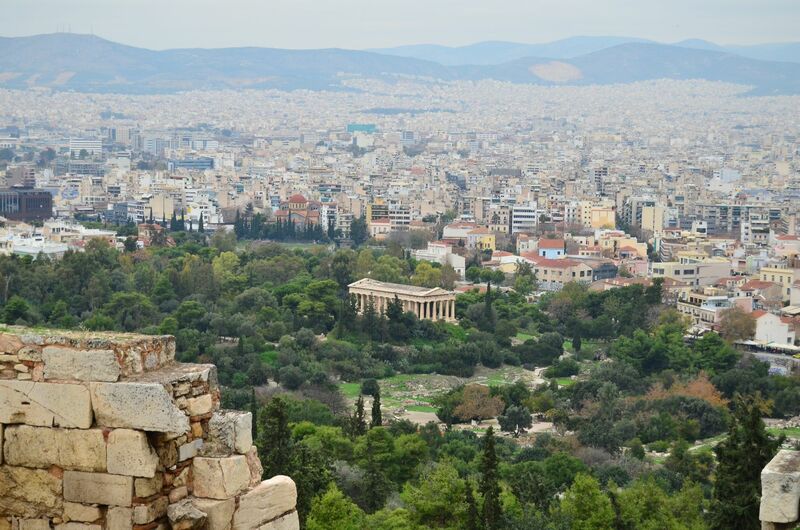 Arriving into Athens, I had myriad of expectations. I had been told many, many times that if one was to go to Greece, the islands should be the first option, and not the capital. 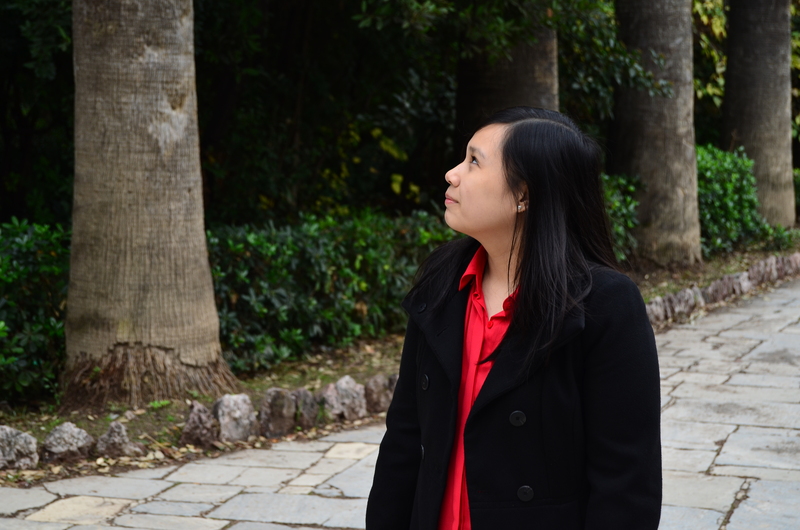 I had heard stories of the city being dirty, chaotic, and not as fantastic as it’s perceived to be; but I was hesitant to let the notion of others disrupt my dream. 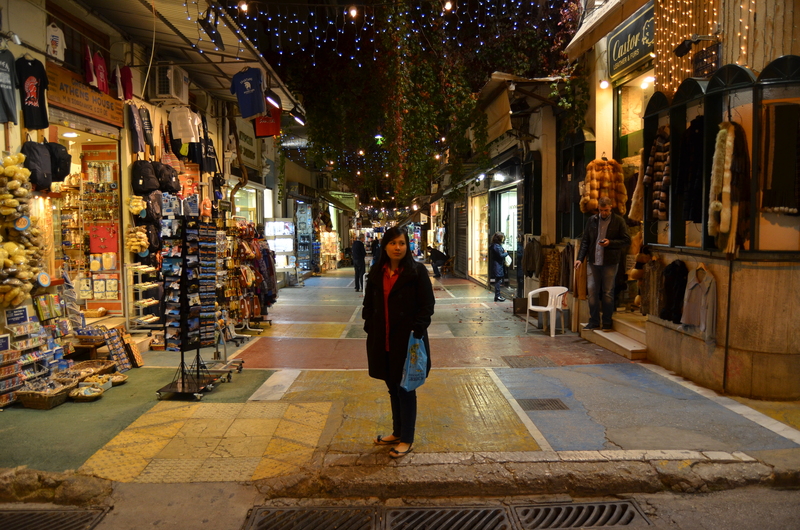 My first taste of Greece was Athens and let me tell you, it was damn right fantastic. 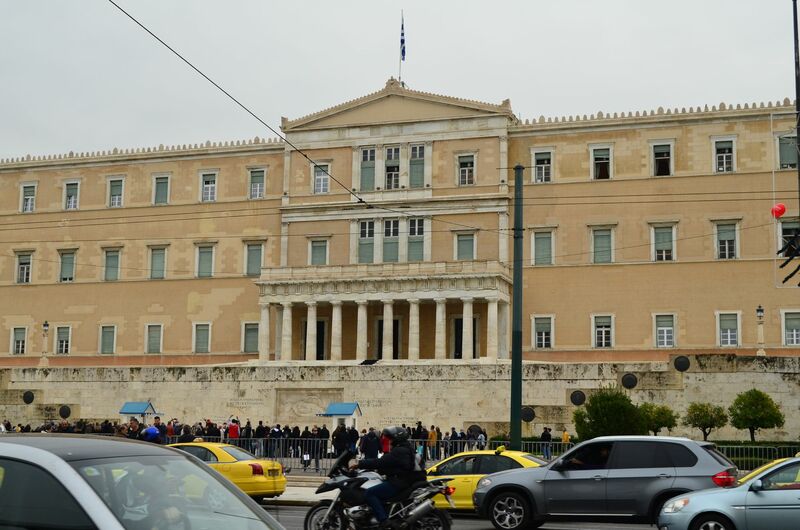 Here’s a little run-down of the things we did while in the city, and the things I suggest you do if you’re planning a trip to the Greek capital. Our first day was spent in the historic center of the city. 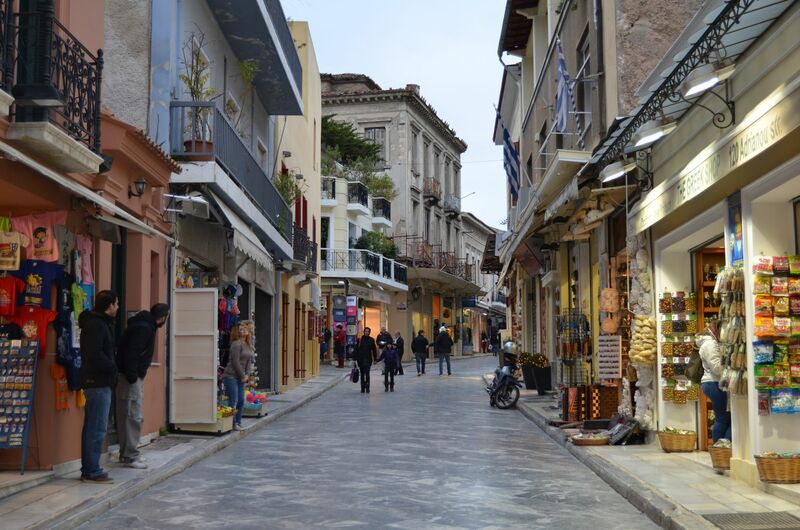 A labyrinth of gorgeous alleyways intertwined with such intricately-designed stores and shops, Plaka is my second favorite attraction in Athens – the first being the Acropolis, of course – but more on that later. I feel like it can’t get any more Greek than Plaka, with flags strung up from one building to another, to olives being sold in baskets by the sidewalk, or little cafes with the most delectable Greek dishes. 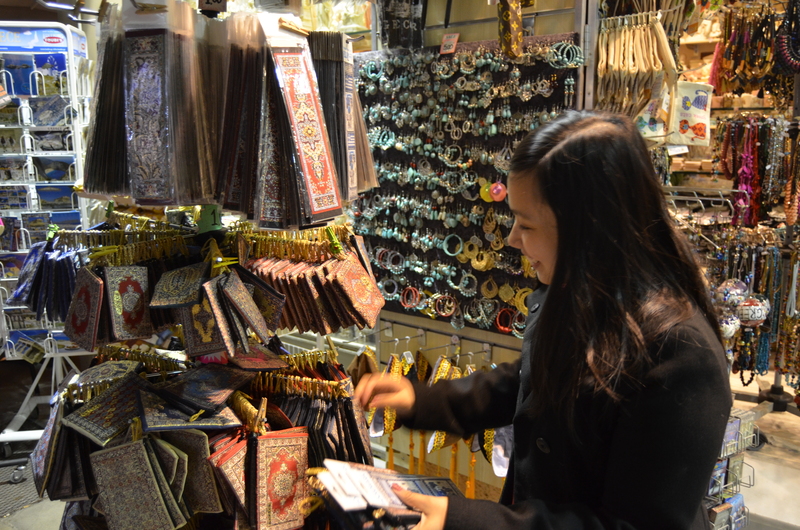 There are two things you must do while in this part of the city. 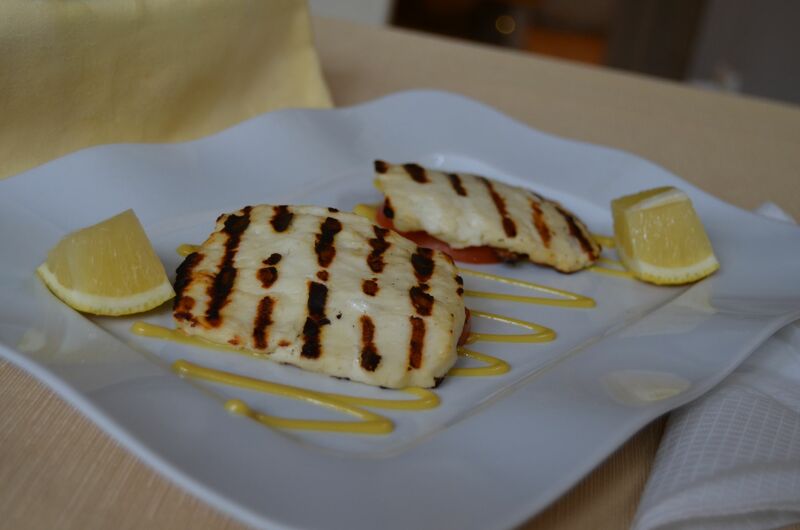 One is to eat, and the second is to shop! I couldn’t help but gush over the little treasures I discovered while shopping in Plaka – and this is very important to mention: everything was insanely cheap; it might have been due to the timing of our visit, as it was in the middle of the country’s recession and the height of the Greek bail-out negotiations. The fact that prices dropped to a bare min, at least to compared to the rest of Europe, made me want to spend even more. 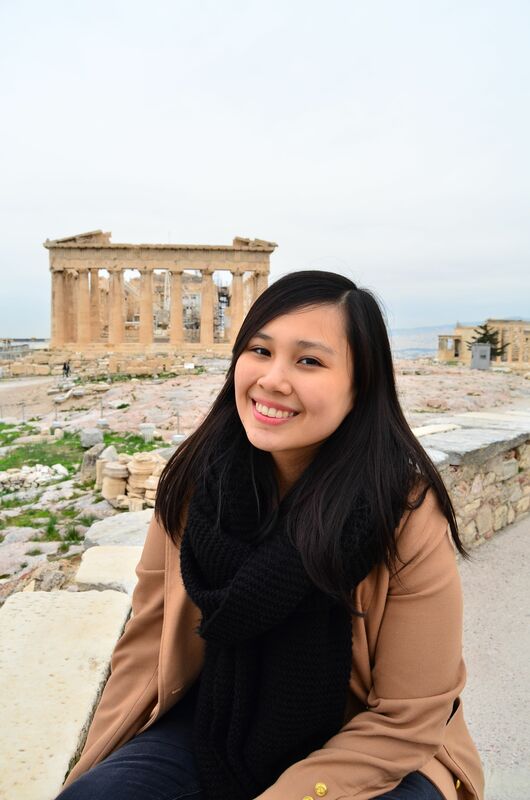 No matter how minuscule my contributions might have been when it came to my spending capacity while in Greece, I wanted to help out the country’s economy even just a bit. That aside, our first two nights were spent in a hotel in the middle of Plaka, and we were lucky enough to come and go as we pleased – be it in early in the morning or late at night. 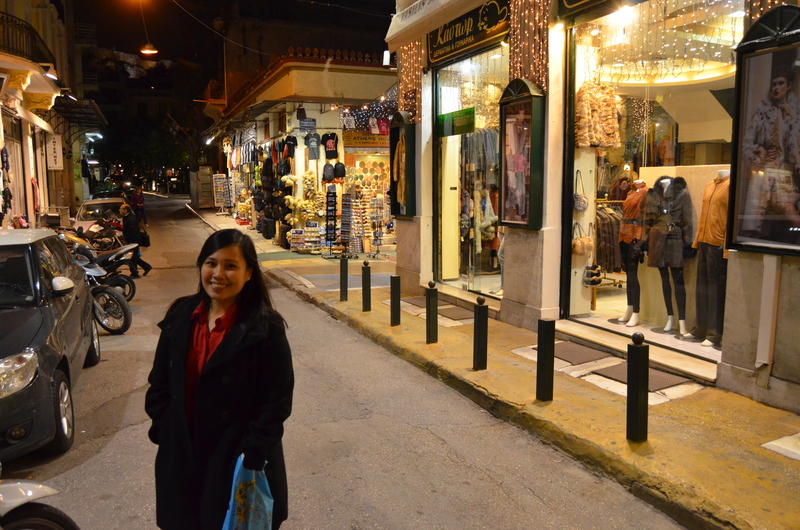 It might’ve been since it was the end of November and nearing the holiday season, but what’s fantastic about Plaka during the night are the lights hanging around the streets and corners that made this part of Athens all the more magical. 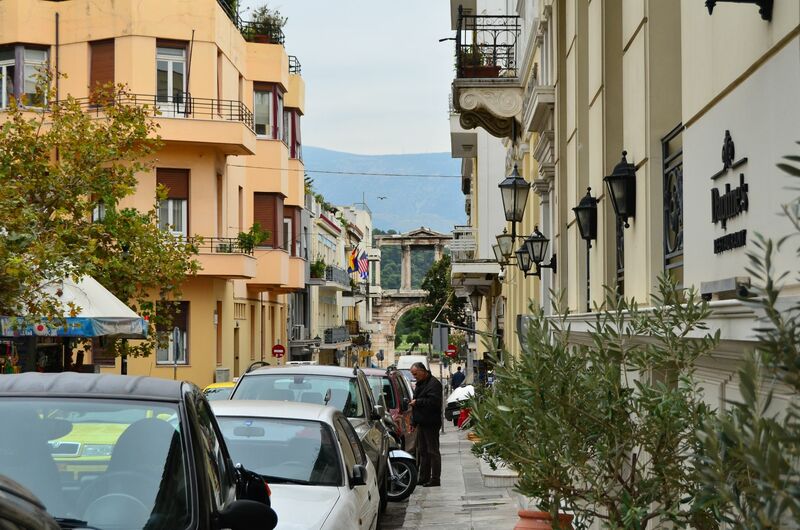 The next morning, we headed out of our hotel in Plaka and ventured into the outlining area of the historic town. 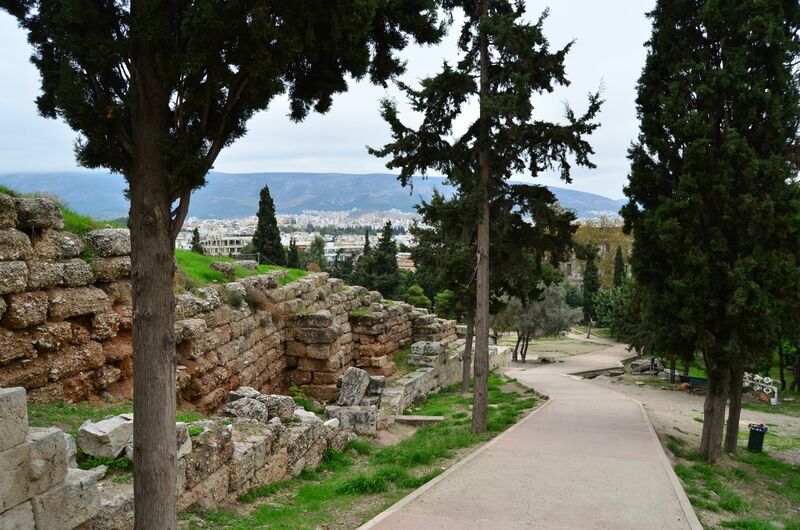 This is what I love the most about Athens – it’s a very walkable city. 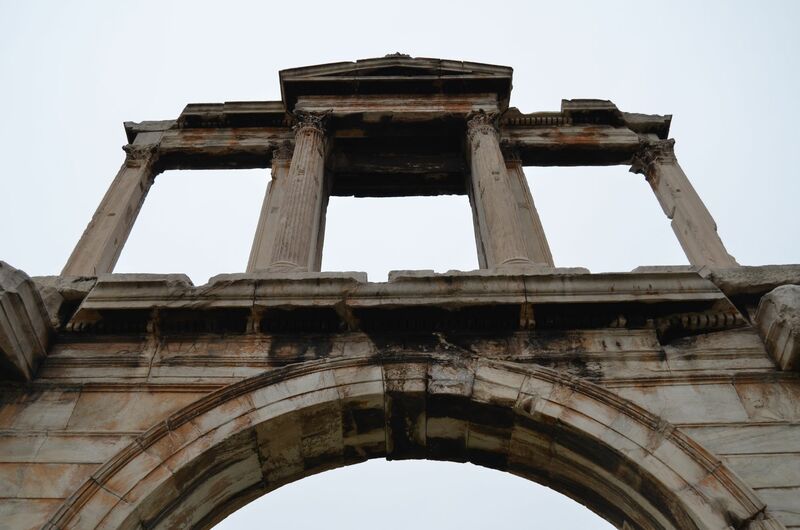 Not knowing where to go as we had an early head-start, we came across the Arch of Hadrian, which amazingly dates back to 131 / 132 AD, and resembles structures that you could only see in Rome. 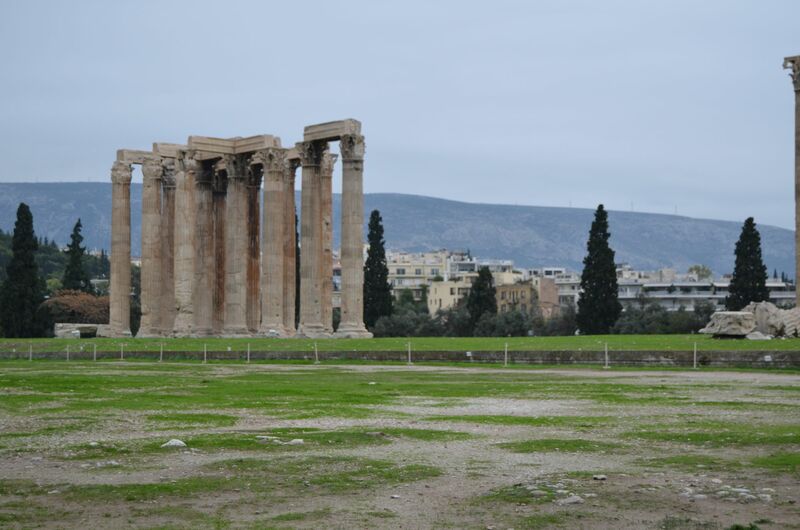 Across it, however, is the more-impressive and far more massive Temple of Olympian Zeus that was completed in 2nd Century AD. Though to date, there are only 16 pillars existing, you could only imagine how massive it would have been had the structure remained untouched. This is the very reason why I had longed to visit Greece and why I chose Athens to be the first place I visited in this fantastic country. The Acropolis is what I dreamt far too long of seeing in person. Standing high and mighty, true it its name, is the Acropolis of Athens. A whopping 150m above sea level, this flat-topped rock houses one of the most historically-important structures of all time: the Parthenon. 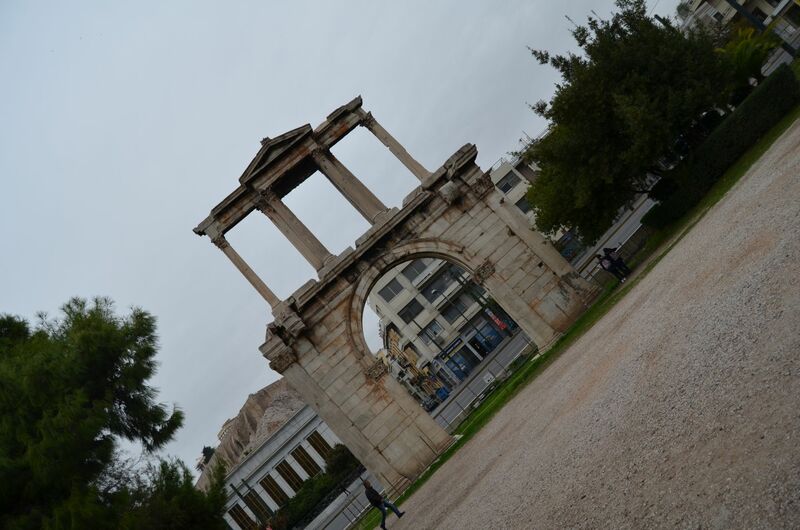 While finding our way to the entrance going up to the Acropolis, we found a gate right by the museum, which we, at that time, thought was the main entrance. 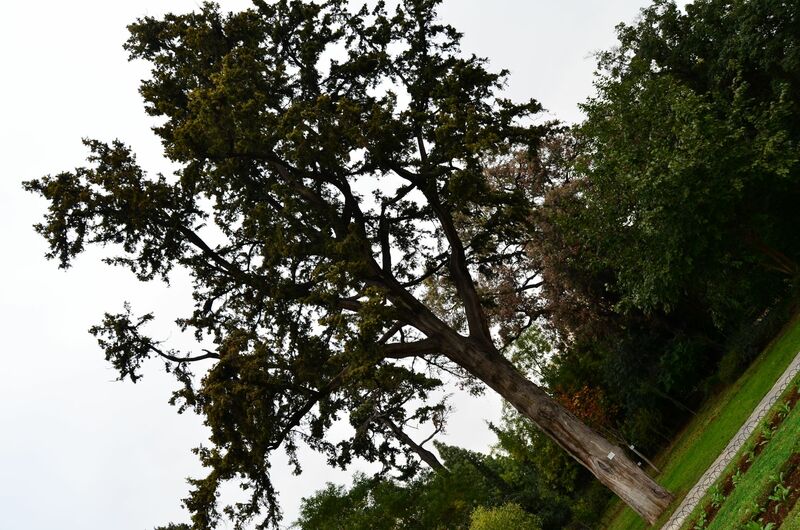 The fee to go in was at 20 euros per head – that’s incredibly reasonable! There were barely any people around – probably 1 or 2 other visitors that we didn’t see after the entrance since the place is huge. 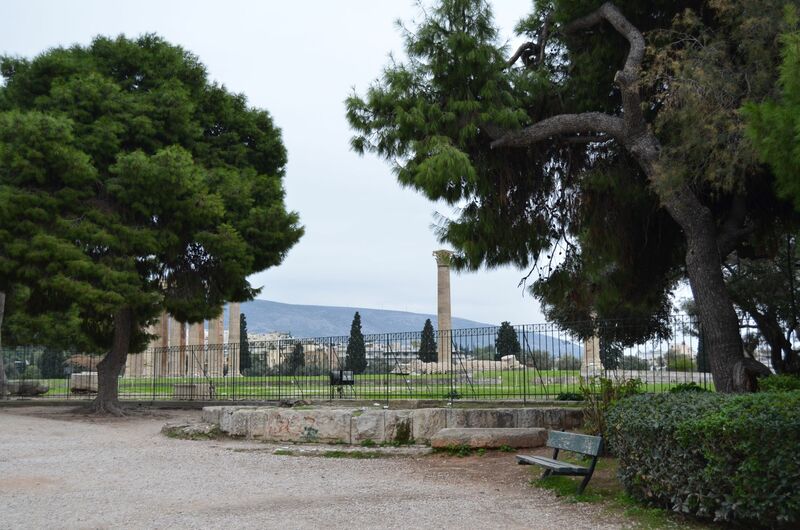 I used to hear about the frustrating amount of tourists you would come across upon entering the grounds of the Acropolis; yet there we were, enjoying all the free space around us. Later that day, we found out that we had gone up through the South Slope. The climb up was rather easy as well, quite a contrast from what I heard from others who have gone up. 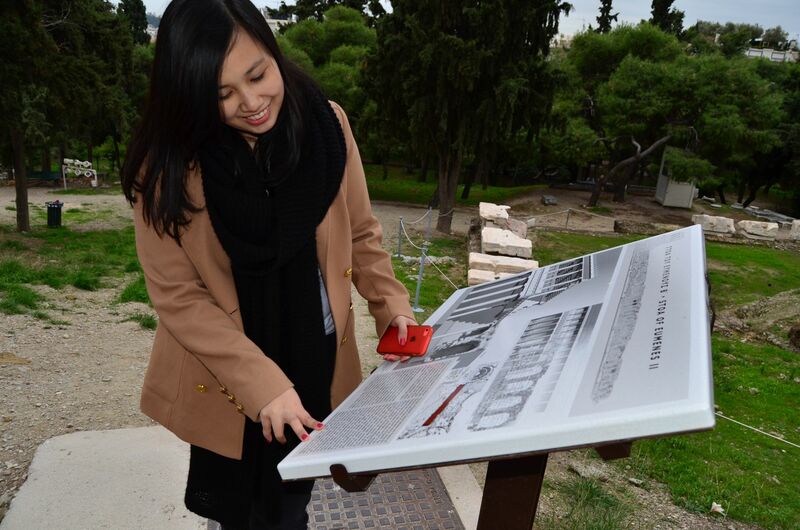 So here’s a tip: Go up to the Acropolis using the South Slope! 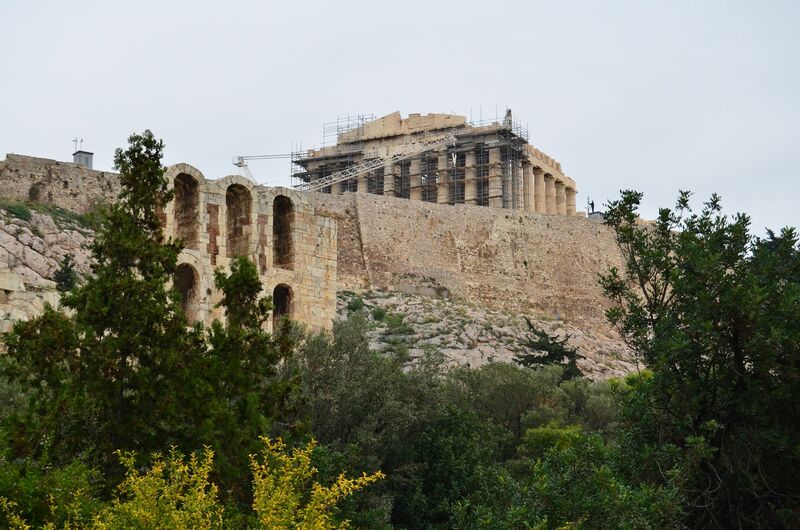 As I said, the climb was easy and we had the pleasure of having a fantastic view of the city the whole time, and also got to see other attractions within the grounds of the Acropolis while on our way up. 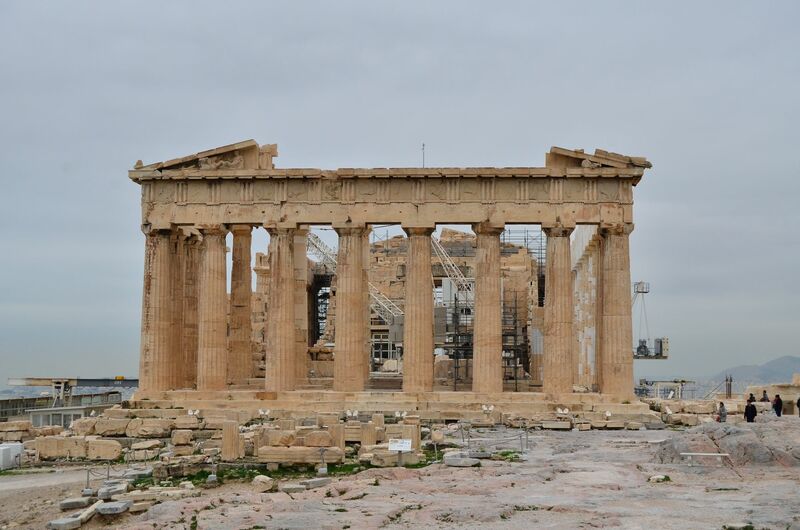 Upon reaching the top, we were welcomed by this massive structure that is the Parthenon. There I was, a 22-year-old, who finally achieved her dream to see all this in person. Was I disappointed? Was the build-up too much? Not in the least! It was just as spectacular as I imagined – maybe even more. There are places in this world that are just too beautiful to not see in person and this is definitely one of them. Though the wind was a bit chilly, we couldn’t help but just admire all the grandeur and beauty that we had the pleasure of feasting our eyes on. We spent some time just lounging around the Parthenon, endlessly hoping that this was a mere drive away and that we could give this place a visit at the snap of our fingers. Lo and behold, we had to face reality and made our way back down. After finally getting more than enough of what we expected from what is now deemed as one of our favorite attractions to date, we headed down the Acropolis – this time, through the North Slope. 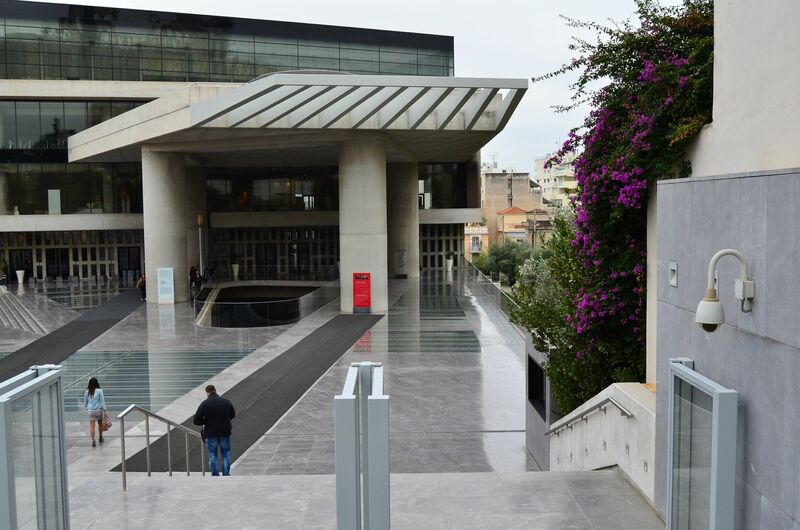 As we headed back down and found our way to the main area, we decided to take a look into the Acropolis Museum. 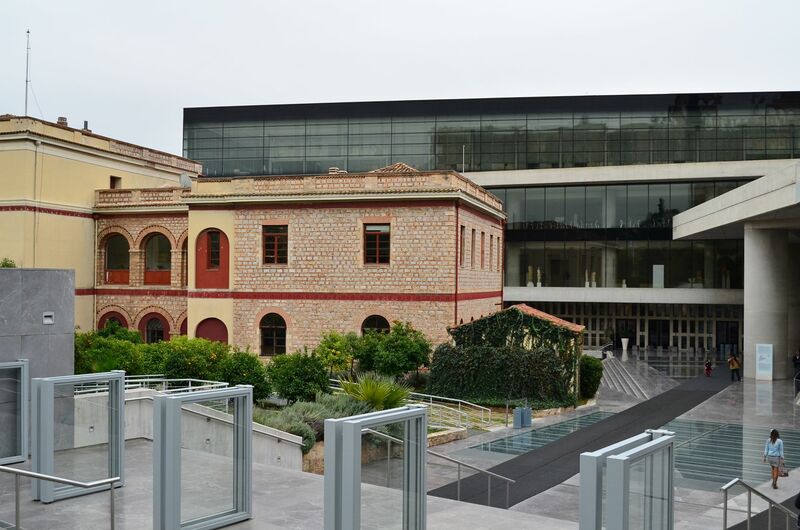 Opened to the public in 2009, this museum was actually built on an archaeological site of the Acropolis, and partly on the the ruins from Roman and early Byzantine Athens. Housing artifacts gathered from the surrounding slopes and the Acropolis itself, what amazed me the most was the way they built on the ruins and kept it in-tact without sacrificing the design of the museum itself. Through glass floors, you could see levels down, which can make you a bit queasy if you’re not a big fan of heights, but I enjoyed it despite my particularities about heights; note that you’re not allowed to take any photos inside the museum, and you’ll have to leave all your belongings by the check-in counter – it’s a super secure area, so don’t worry about leaving your things! The entrance fee for the museum is 5 euros, which is chump change, so I say give it a go if you’re already in the city, and you’ll be rewarded with four levels of history – and a wonderful cafe to boot. 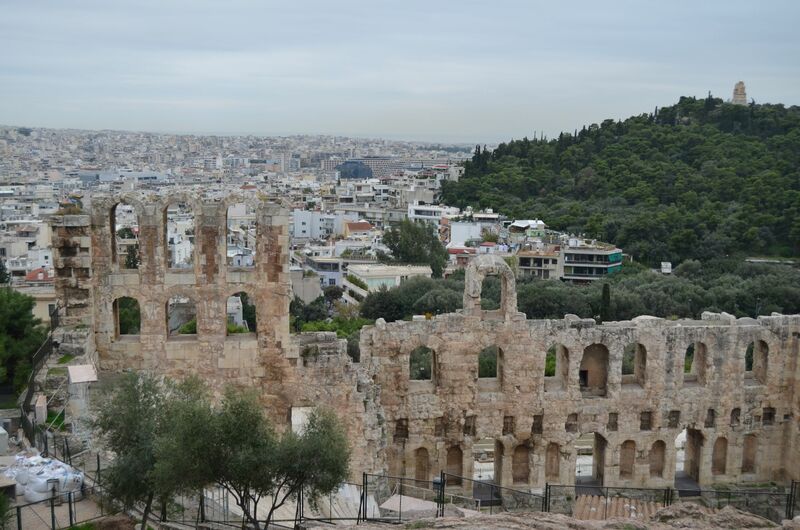 As previously mentioned, our first two and a half days were spent around Plaka and the Acropolis. 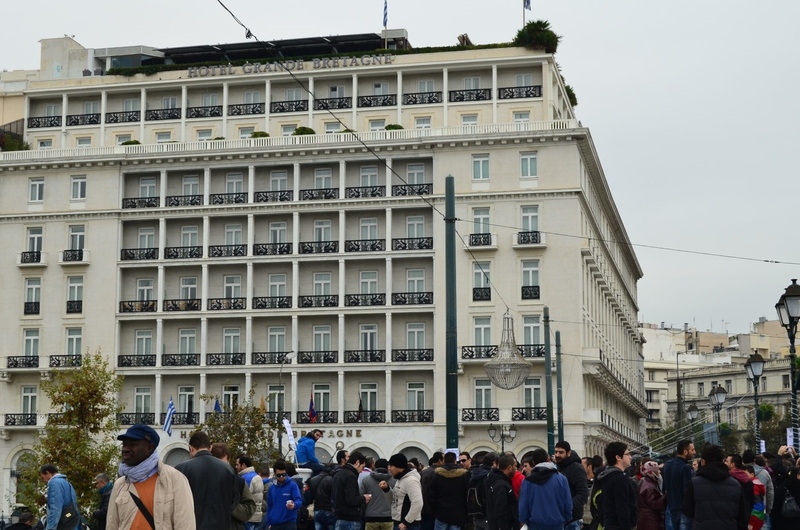 By our third day, we transferred to Amalia Hotel, which is located right by Syntagma Square, the gateway to the city center of Athens. 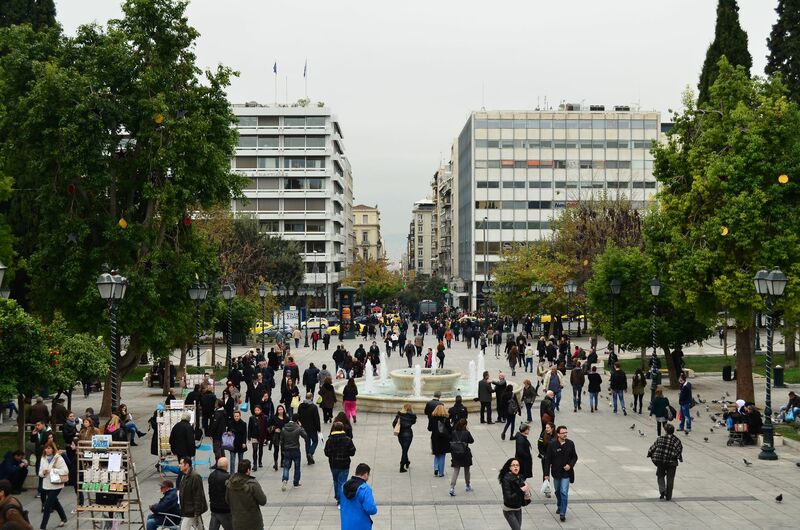 Syntagma is the most popular square in the city, given it’s right by the city’s main shopping street and it’s right across the Hellenic Parliament. Demonstrations are usually held in this area given, which is why we saw a couple of groups holding rallies while we were there. 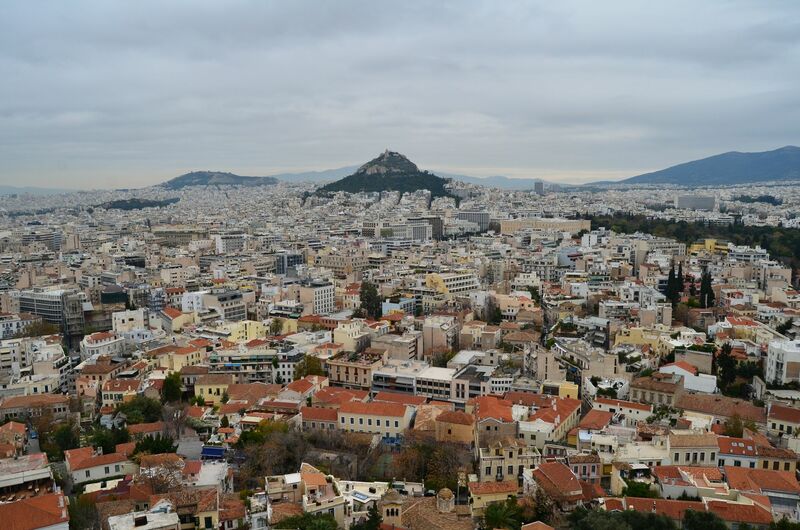 Located right by the square, are the two most luxurious hotels in Athens: King George and Hotel Grande Bretagne, the latter where we dined during one of our nights in the city, where you can read about here: GB Roof Garden. This is one attraction how I wish we spent more time exploring. 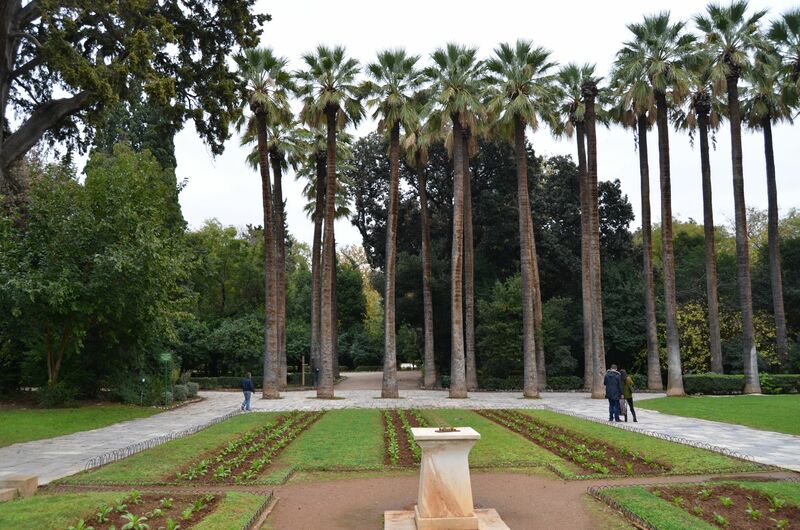 The National Gardens was located right across our hotel by Syntagma Square, but we were a bit lazy to explore the rest of the Gardens given its proximity and our ‘we can visit again later’ attitude. How I wish I’d seen more of it; but that aside, just a glimpse of it already had me in awe. 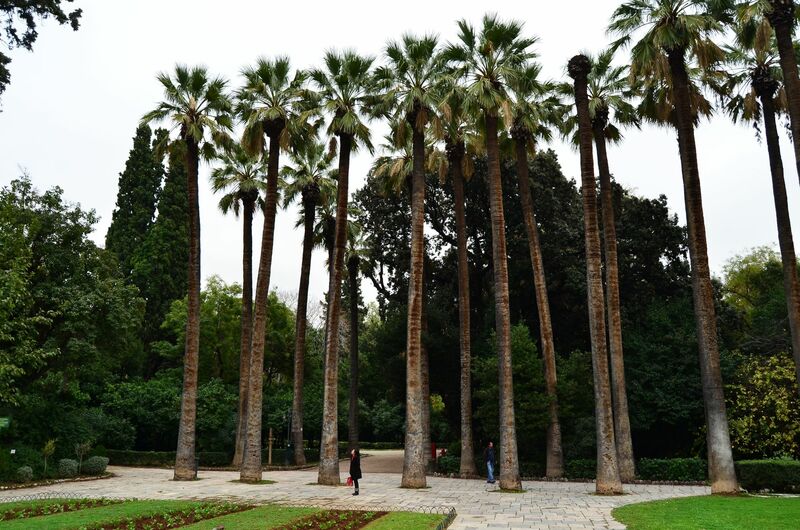 The greeneries are beautifully-manicured, the walkways are well-maintained, and there were barely any people at the entrance of the park, so it’s a great place to explore specially if you’re looking for a relaxing afternoon in the city. There’s nothing like visiting a new city and experiencing it through food. 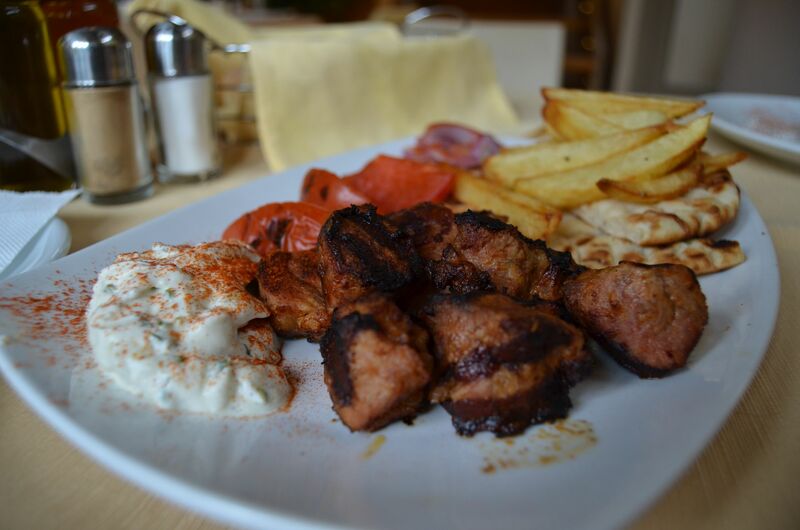 I’ve always loved Greek restaurants in Manila, so being in Greece and trying authentic Greek food was such a treat. 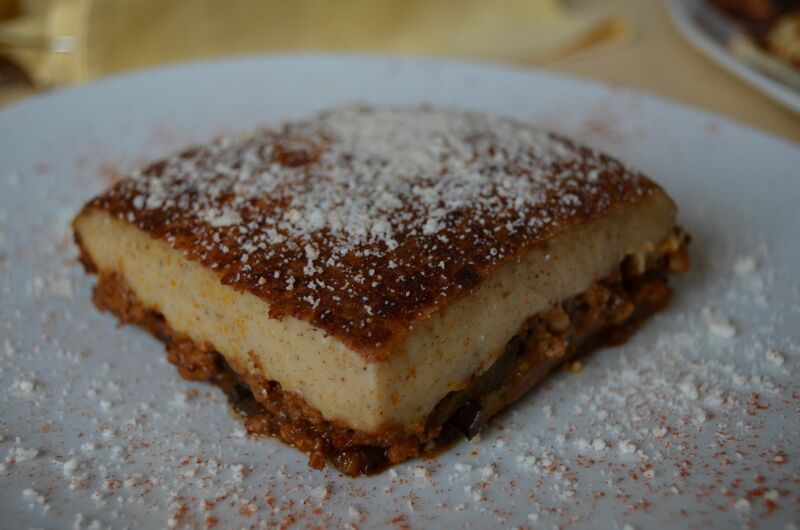 From Grilled Chaloumi Cheese, Moussaka, Kebabs – everything we tried in Athens was fantastic! Greece was wonderful in every way, and the fact that I got to celebrate the 30th country I visited in this wondrous place was such a treat. Though I still dream of seeing the islands one day, Athens was the perfect way to get a taste of the incredible country of Greece.